Took it this summer.. was my book titles outtake. Folklore has it that a prince fell in love with a fairy princess. 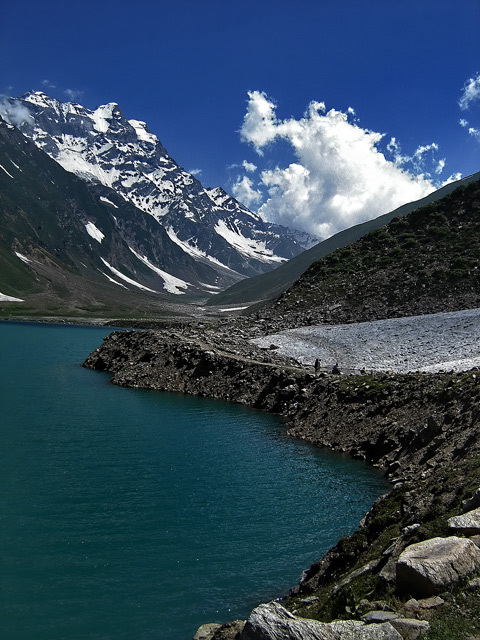 Her soul was trapped in the tallest mountain of this lake by a jinn. To free her he must defeat the jinn. He eventually finds the Jinn's soul and destroys it. It says the prince and princess live in the lake and come out at night on an enchanted white horse. And that ties in with my book titles entry. I never could find the prince and the princess but the horse I did manage to find. Very beautiful image. I like the leading line effect of the shoreline. You've also done a good job with the rule of thirds here. Proudly hosted by Sargasso Networks. Current Server Time: 04/23/2019 08:45:44 AM EDT.